Welcome to the Meet Pirate Pete page. We all know that pirates are mean, nasty and ruthless. I decided to create a pirate character that was a little more family oriented. I created Pirate Pete. Pirate Pete isn’t perfect. He steals and he likes to drink rum. He is however, very kind-hearted and compassionate. Pirate Pete owns his own ship. His crewmates, Slappy and Rusty love working with him and consider him to be the best boss ever. 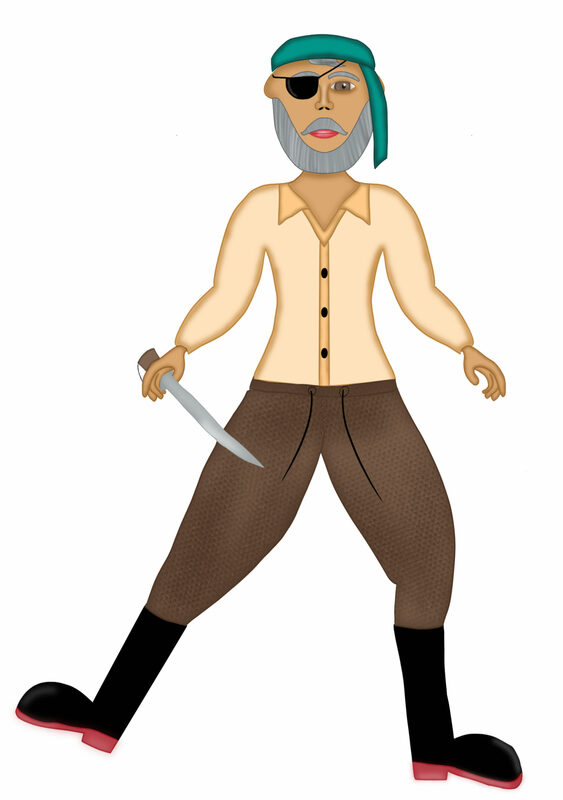 This entry was posted in Meet the Characters, Pirate Pete Stories and tagged best, pirate, Pirate Pete, pirate ship. Bookmark the permalink.